A close-up illustration of abnormal tau tangles, in blue, which play a debated role in Alzheimer’s disease. The field of Alzheimer’s research is one filled with disappointment. Just last week, yet another drug failed its Phase 3 clinical trial, continuing the 15-year-long losing streak since a truly new Alzheimer’s treatment was approved by the Food and Drug Administration. But a team of scientists this week say they’ve found early evidence—in mice—that an existing class of drugs can attack Alzheimer’s and similar disorders from a different angle than previous failed attempts. The question of what causes Alzheimer’s is one with no simple answers. We know that two proteins naturally produced in the brain—beta amyloid and tau—are inextricably linked to the neurological disorder. In someone with full-blown Alzheimer’s, abnormal clumps of both proteins, called plaques and tangles, respectively, form and litter the brain (plaques are mostly found in the space between nerve cells, while tangles mostly form inside nerve cells). But we don’t know if one, both, or neither of these structures are primarily responsible for the progressive, ultimately fatal brain damage seen with Alzheimer’s. The most widely endorsed theory of the disorder is that beta amyloid is the principle bad guy, in part since plaques seem to show up before tau tangles. So scientists and pharmaceutical companies have pinned their hopes on drugs that can break up these plaques or prevent their accumulation in the brain. But trial after trial of these anti-amyloid drugs have failed to significantly improve people’s symptoms or slow down the progression of the disease. Often, the failure of the drug only becomes clear right at the finish line of human testing. This drug goes after a different target than most of these high-profile trials. But maybe even the tau protein may not ultimately turn out to be the correct target. The most recent failed trials of aducanumab, which were ended early by Biogen and Japanese pharmaceutical Eisai last week, were especially disheartening. 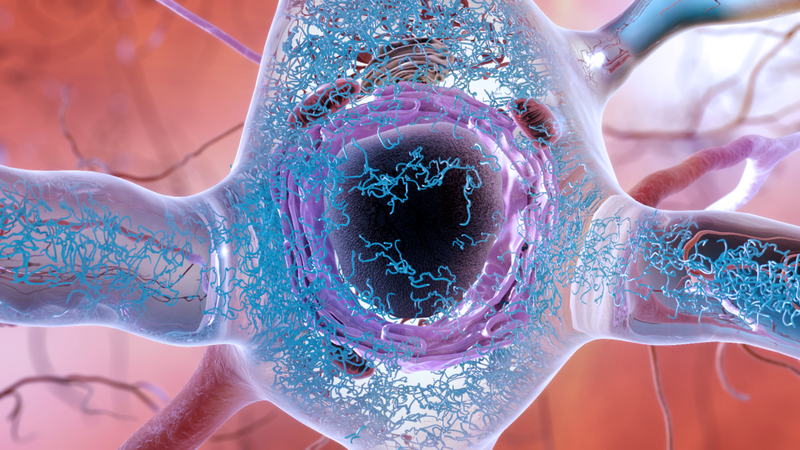 Aducanumab appeared to be better at clearing plaques than previous drugs, and it was tested in patients with the earliest clinical stages of Alzheimer’s—two factors that should have raised its odds of success. These failures have once again prompted calls by the scientific community to rethink or even shift focus and resources entirely away from the amyloid hypothesis of Alzheimer’s, as it’s called. The researchers behind this current study, published Wednesday in Science Translational Medicine, have been pursuing one of these alternative leads for years now. Their research, led by Kenneth Kosik, a neurologist at the University of California, Santa Barbara, has focused on tau as the main driver of Alzheimer’s rather than amyloid. While tau tangles do show up later in the disorder’s development, some research has shown that the spread of abnormal tau correlates better to the visible progression of the disease than amyloid (by contrast, plaques can be found in the brains of people with no visible dementia). And we already know there are other neurological disorders, such as frontotemporal dementia, that are almost certainly driven by tau tangles alone. Many people with frontotemporal dementia also have inherited genetic mutations involving the production of tau, which greatly raise the risk of tangles showing up. “In Alzheimer’s, you can debate where the problem lies, but with these cases, there’s no question about it,” Kosik told Gizmodo. It was in studying these tau mutations that Kosik and his team made a discovery. They claim to have found a never-before-seen regulatory pathway in cells that can spark the degradation of healthy tau. This pathway appears to operate through a protein called Rhes, which belongs to a larger family of proteins called Ras. The Ras family is itself regulated by an enzyme called farnesyltransferase. And as luck would have it, there are already drugs known to inhibit farnesyltransferase. These farnesyltransferase inhibitors (FTIs) were originally developed as anti-cancer drugs, since mutated Ras protein is also commonly found in tumors, and some have even reached human trials. But though they were deemed safe enough for people to use, they haven’t been approved as cancer treatments. Kosik and his team, however, theorized that FTIs could be repurposed to treat tau-related disorders of the brain, including Alzheimer’s. So far, their early work in mice and human neurons (grown from the stem cells of people with genetically linked frontotemporal dementia) seems to bear out their educated hunch. When they gave one FTI, called lonafarnib, to mice bred with a form of frontotemporal dementia, the progression of dementia symptoms noticeably slowed down. The treated mice’s brains also had less abnormal tau and inflammation than control mice. And in a petri dish, the damaged human neurons were better able to produce healthy tau once they were exposed to lonafarnib. Of course, this would hardly be the first time that animal studies have provided a glimmer of hope for a potential new dementia treatment. But Kosik noted that one advantage of lonafarnib, as opposed to other experimental drugs, is that it’s already been well-studied. Despite that optimism, Kosik’s team has faced some hurdles in further studying the drug. Lonafarnib is also being studied for its use in treating the rare rapid-aging condition progeria, with promising clinical trials that will likely pave the way for its approval by the FDA. But Kosik says that the drug’s makers, Eiger BioPharmaceuticals, have refused to provide more of the drug to his team for continued research in humans. If lonafarnib can’t be used anymore, he added, his team would have to find other FTI candidates. Logistics aside, Kosik is well aware of the recent gloomy developments in finding a new treatment for neurological disorders like Alzheimer’s. But he hopes he and others have and will continue to learn from the mistakes of the field in pursuing their own research. “This drug goes after a different target than most of these high-profile trials. But maybe even the tau protein may not ultimately turn out to be the correct target. Maybe we have to look at other aspects of the disease, like inflammation,” he said. Despite his own theory, Kosik doesn’t endorse the idea of steering away from amyloid entirely, but rather to be smarter about how we pursue Alzheimer’s research in general and pursue multiple potential avenues of treatment that are strongly supported by basic research.